How to use task lists to categorize project tasks. 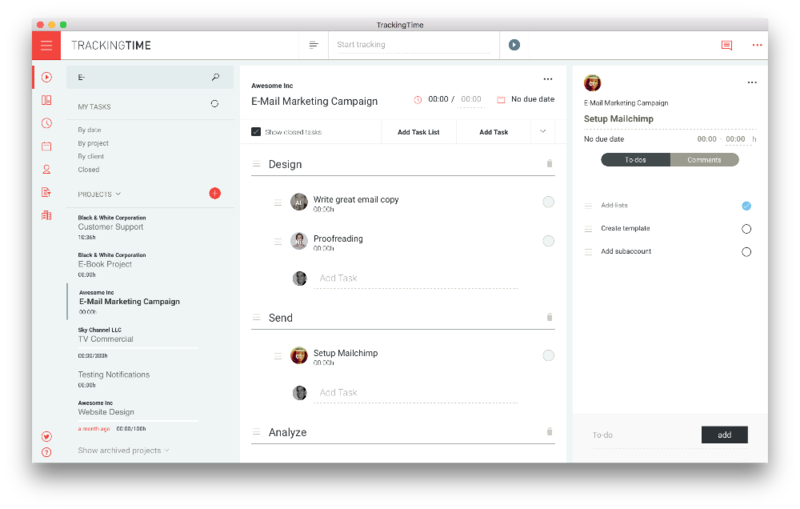 Tasks lists allow you to group project tasks together, so that you can get a better overview of all the different types of tasks that need to be done in order to complete your project. For example, you could use tasks lists to categorize tasks by teams (group 1, group 2, etc. ), project phases (design, development, roll out) or by time periods (January, February, etc.). To add a new task list simply click on the 'Add Task List' button. A new task list will appear on screen, where you can enter a title for it. Click 'Save' to save your changes. If you want to edit the title of a task list, just click on it. The title field will become editable. When you're ready editing the list title, click outside the field or press enter to save your changes. Tip: If your tasks lists have an order you can drag and drop them around to put them in the order you want them to be displayed by clicking on the selectable indicator on the left next to the task list name. To delete a task list click on the trash icon on the task list thatyou want to delete. Warning: All tasks inside the task list will be deleted. This action cannot be undone.